With northmodern cancelled this year and postponed for the foreseeable future, the Swedes are surely glad that Stockholm Furniture & Light Fair is still the biggest meeting point of Scandinavian design. More than 700 companies gather at the fair — 80 per cent of exhibitors are from the Nordic regions but the Greenhouse section, dedicated to independent designers and design schools, is increasingly attracting talent from outside Scandinavia, including China, Japan and Australia. This year, 31 design schools and 31 young, emerging designers from 18 different countries took part. Form Us With Love, Nendo and GamFratesi are just some of the names that made their breakthrough in Greenhouse, and as of this year, five mentors each selected a protégé on the first day of the fair to mentor over a one year programme. With prototypes, material innovations and exciting experimentations, Greenhouse really is the star of the show. 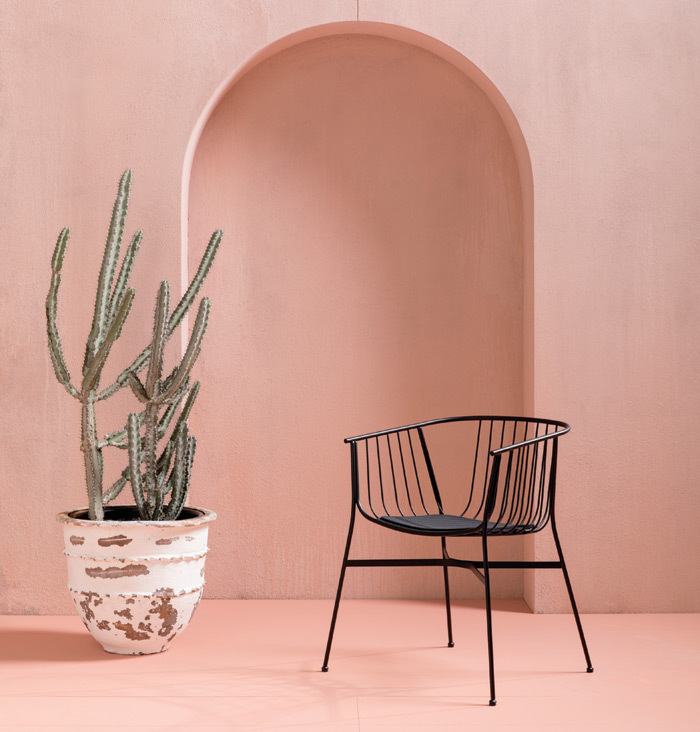 Stand-out designs included Australian designer Tom Fereday’s minimal bent-wire Jeanette chair for Aussie brand SP01, with its basket-shape seat and clean silhouette. 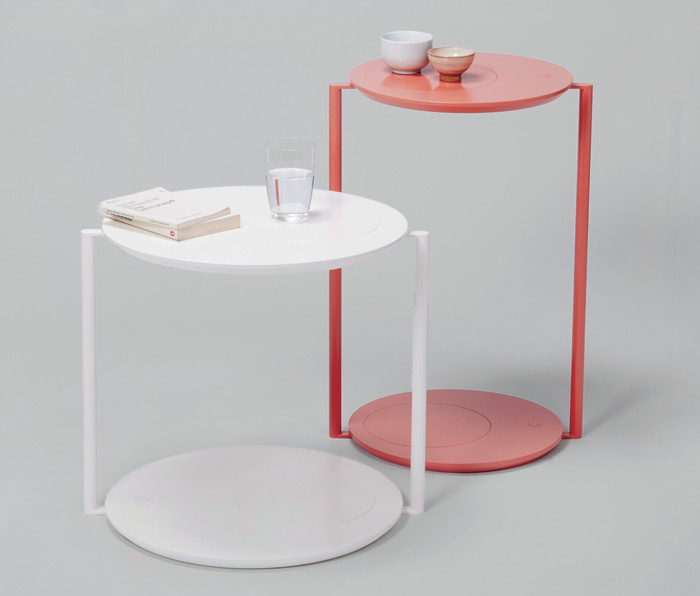 Swiss brand Diiis showed its GITO and HATO side tables made of a simple screw system that fixes two wooden plates to a metal frame, while Norway’s Studio Føy’s cheerful Flamingo flat-pack stool has an elongated handle that mimics the bird’s long neck. 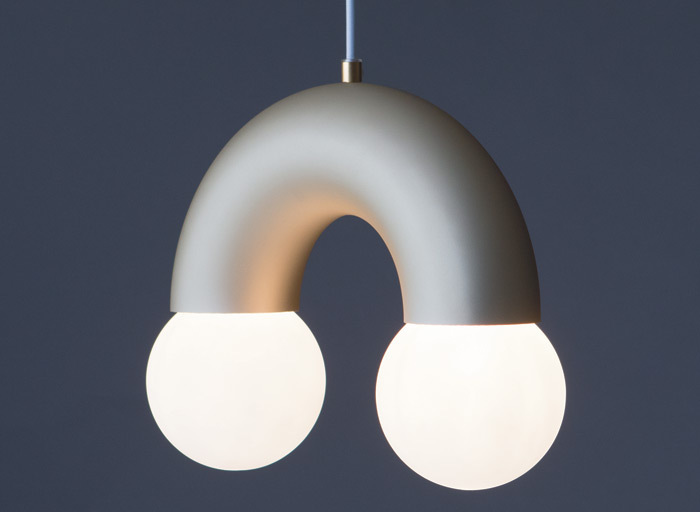 Elsewhere, lighting was really strong this year, with several playful designs demanding the interaction of touch. Blooper, designed by Mette Schelde for Danish company PLEASE WAIT to be SEATED, for instance, comprises a large hollow bowl with a small disc inside it that can be turned to dim the lamp on and off. Young, Berlin-based brand yuue’s Bento lamp is a portable light that features an extendable pole, transforming the design from small storage box to a characterful lamp (on show at Greenhouse). 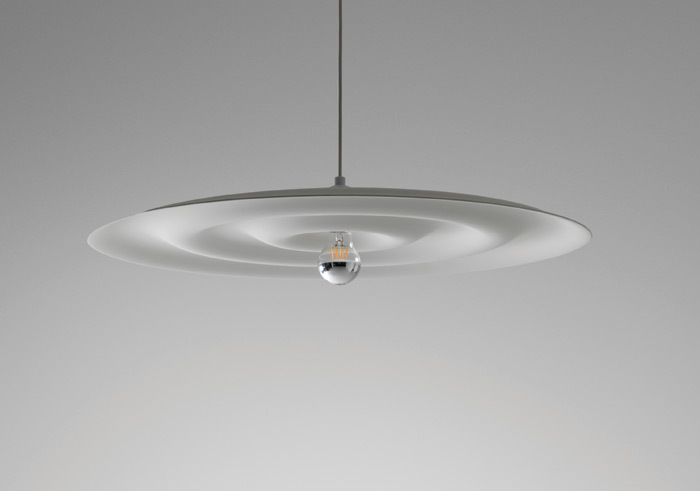 Another tactile design is the w171 alma pendant by Swedish architect Tham & Videgård for Wästberg, a circle of soft sine waves that comes in a satin matte finish, giving the design a beautiful sculptural quality. Other designs gave the appearance of fine jewellery. Witness Stockholmbased HAHA Studios’ arced pendant lamp from its Lighting Collection #1, made of anodised aluminium with two pearl-like luminaires (at Greenhouse). Or Swedish brand Pholc’s Pearls, designed by Monika Mulder, that takes inspiration from jewellery more literally, with teardrop-shaped pendants adorned with white bulbs dangling like earrings. Inspired by the play of patterns in meshed moiré jewellery, David Derksen’s wall light for Copenhagen-based New Works features a layered copper form. The circular shape can be rotated to create hypnotic patterns of squares and hexagons on its surface. 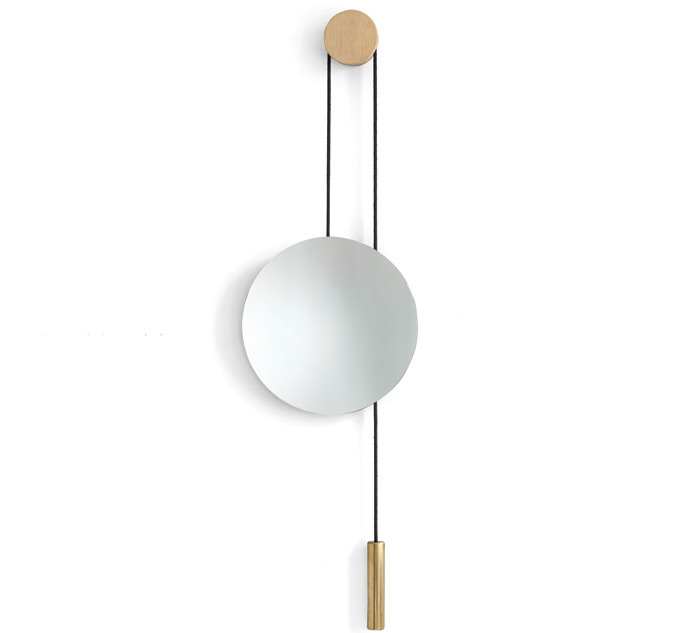 The brand’s Rise & Shine Wall Mirror by Hunting & Narud hangs a circular mirror on a simple pulley system so that it can be positioned at different heights on a wall. Several brands seemed to be taking note of the talent available at Greenhouse and engaging with young, emerging designers. Oslo-based Northern Lighting worked with two emerging designers on its new collection, one still a student. 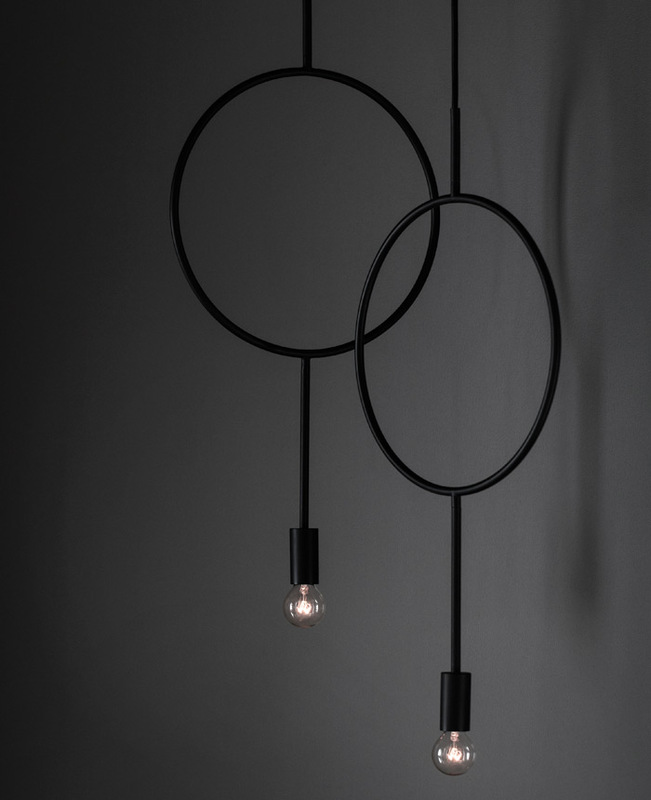 Yuue, mentioned earlier, comprised of Weng Xinyu and Tao Haiyue who both studied design at Bauhaus University in Weimar, has designed Balancer, an adjustable floor lamp that uses a swivel key on the frame to pivot the light upwards or downwards. Currently in her final year at the Institute of Design & Fine Art in Lahti, Finland, student Hannakaisa Pekkala used hoops to create a simple, graphic chandelier. 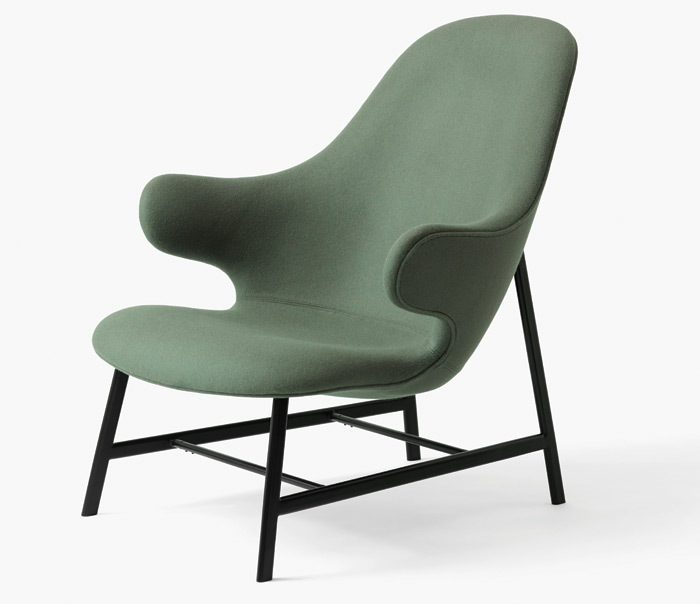 Ram Easy Chair designed by Färg & Blanche for Design House Stockholm. Swedish studio Färg & Blanche, who first met at Greenhouse six years ago, presented the Ram Easy Chair for Design House Stockholm. Expanding on their experimentations with textiles and sewing fabric to wood, the chair is inspired by an everyday nylon backpack and features four leather buckles that seem to hold the design together. 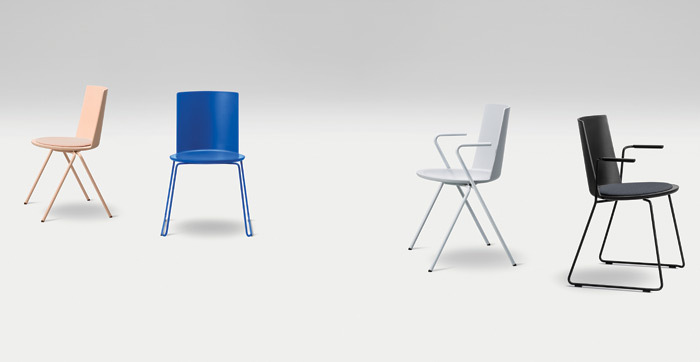 Another emerging studio, Geckeler Michels, designed the multi-purpose Acme chair for Danish brand Fredericia. The lightweight design has a neat, circular seat and square back that can be combined with different leg designs to create four looks. 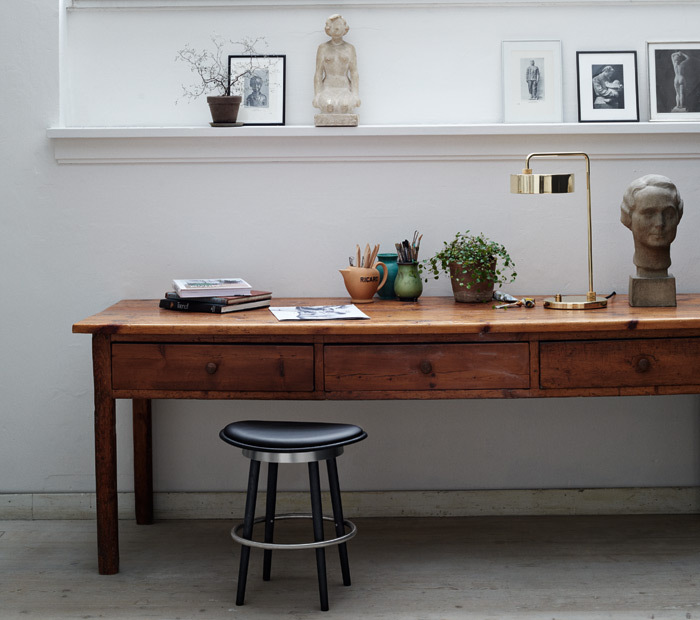 Other notable designs from more established names included Studioilse’s Sturdy Stool for Copenhagen-based Made by Hand, a strong, functional, almost 90s looking, design with chunky metal rings to provide stability. 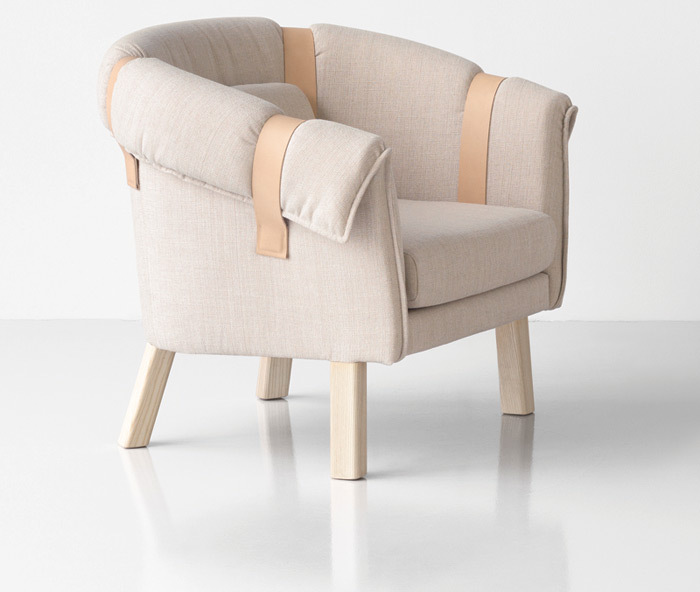 Jaime Hayon’s Catch Lounge chair for &tradition features a high back and elongated seat, with little armrests that appear to be greeting you for a warm, welcoming hug. Blå Station’s BOB sofa, a modular seating system with a simple aesthetic, won the best-product award, while Canada-based Knauf and Brown was awarded Rising Star. A key theme was sustainability, at the heart of many of the Scandinavian brand’s blurbs and design philosophies. Yet there is something distinctly unsustainable about three, great big halls full of brand new chairs. Sometimes the use of the word sustainability can feel a bit like an empty promise, something which might go on behind the scenes but isn’t always presented to the public except in the form of a buzzword. 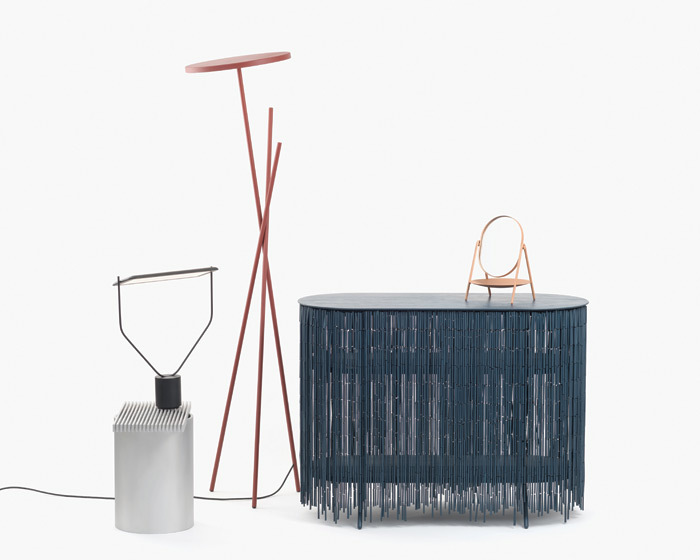 In the context of our fast-paced, throwaway society, one exhibition away from the fair, Designed to Last at the Swedish Centre for Architecture and Design, did touch on the issues around creating objects for the long term and the challenge of imbuing a piece of furniture with quality and value, including the work of Färg & Blanche. Stockholm Furniture Fair is a trade show, but it is also an expanding design week and events like this help it engage with a wider conversation. One thing the Scandinavians do excel at is craftsmanship and an attention to detail and materiality — with designs that are truly built to last (&tradition, Fredericia, Menu and Skagerak being prime examples). It is pleasing to see Scandinavian brands are now passing on this proud heritage to younger generations and nurturing talent of the future with opportunities counterparts in the UK and elsewhere could only dream of.